This is such a fun series! It is light-hearted, funny, satirical, and interesting. I love the historical aspect to The Parasol Protectorate. Most of all, I like Alexia. She is so pragmatic, there are no emotional hissy fits from her, no matter what happens. I did feel like there was something missing in Blameless. It almost felt like half of a story to me. I got to the last page, and thought, "that's it?" I just wanted more. More to the plot, more action, more of Alexia and Conall, and more Lord Akeldama (who is my favorite character). 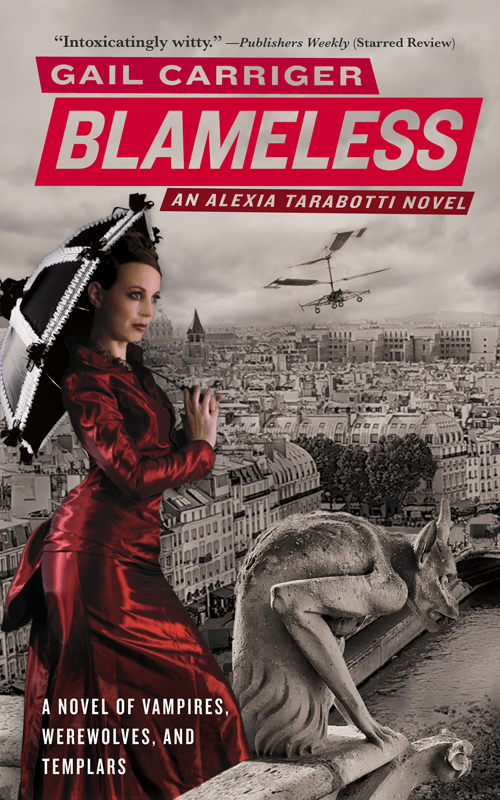 Blameless was a fun read, but not my favorite in the series. It kind of felt like a middle-of-the-series-slump book to me. I'll definitely keep reading the series, but I expected more out of a book I bought for myself. I hate that I do that--expect more out of books I've purchased--but I do. I want them all to be five-star books, and feel disappointed when they are not. Furthermore, it irks me that my library had the first two Parasol Protectorate books but not any of the others. It doesn't make any sense! 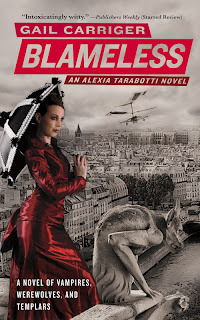 I would recommend Blameless, along with the rest of Carriger's series, but I better be in love with book four, or I'm going to be upset! I haven't read any in this series but glad you liked even if you didn't love.